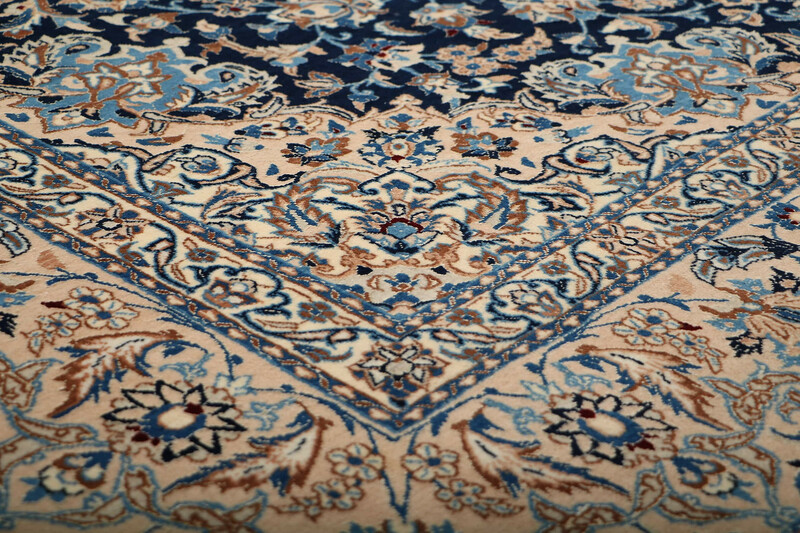 The village of Nain lies on a desert plateau in central Iran about 140 kilometers east of Isfahan. 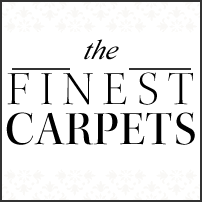 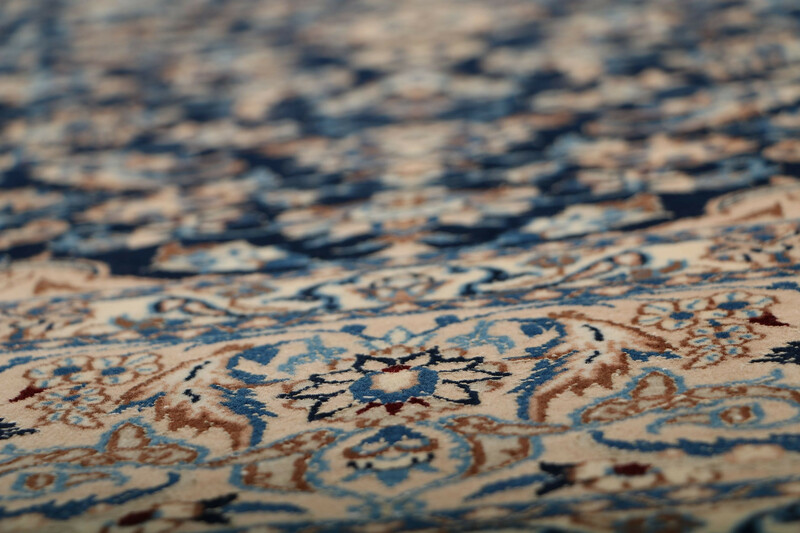 Carpet weaving began in Nain in the 1920s, rather late compared to weaving traditions that were well established by the 1500s. 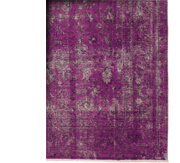 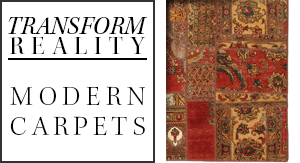 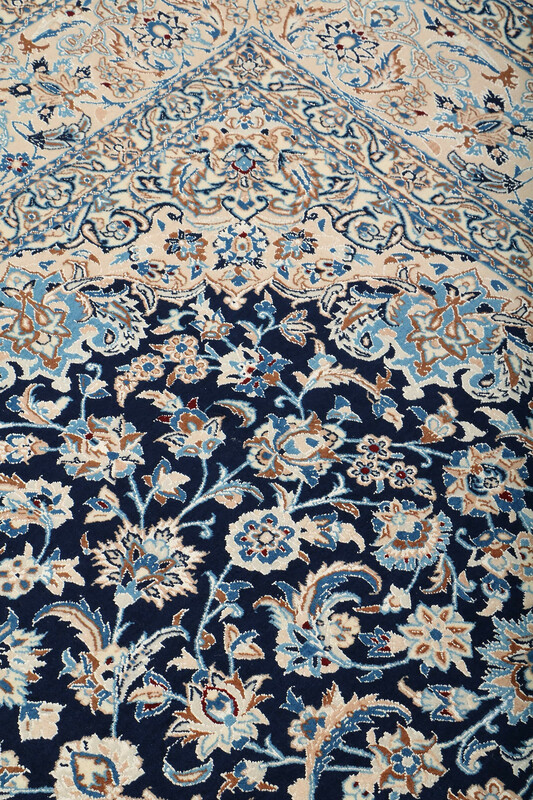 However, Nain carpets are renowned for their exquisitely rendered curvilinear designs, high quality and beautiful colors. 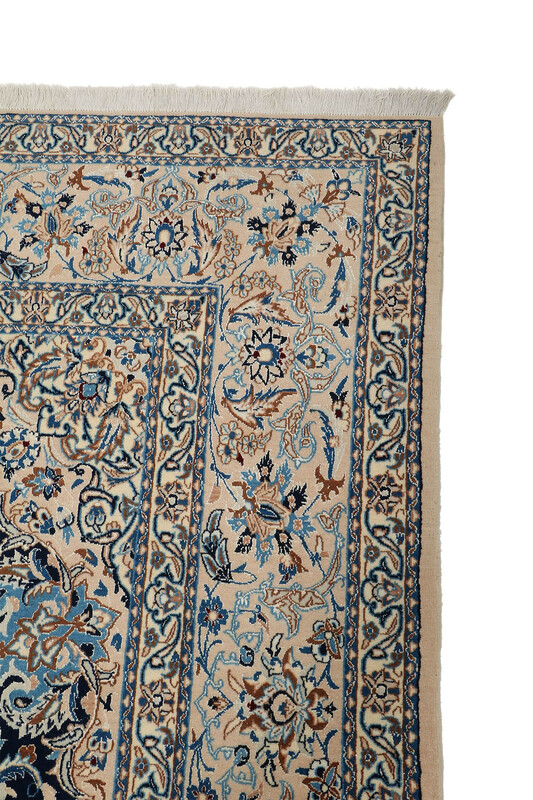 Some of the best, though rare, come from the workshop of Fathollah Habibian, considered to be the father of Nain carpets. 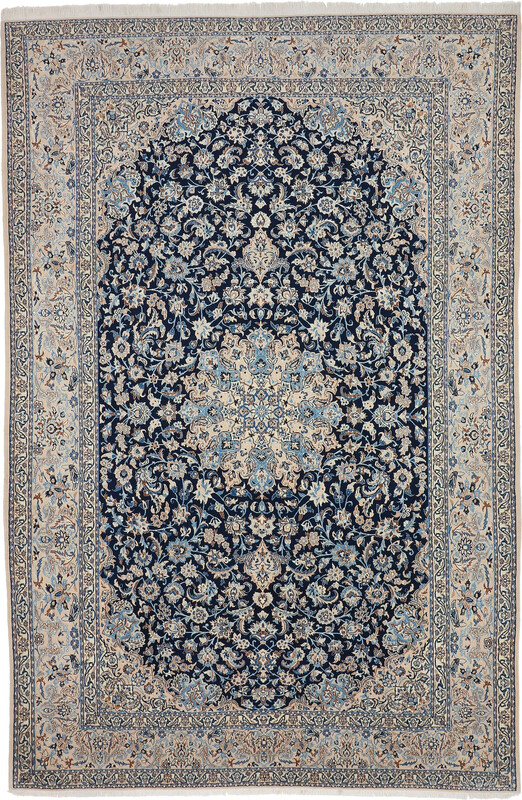 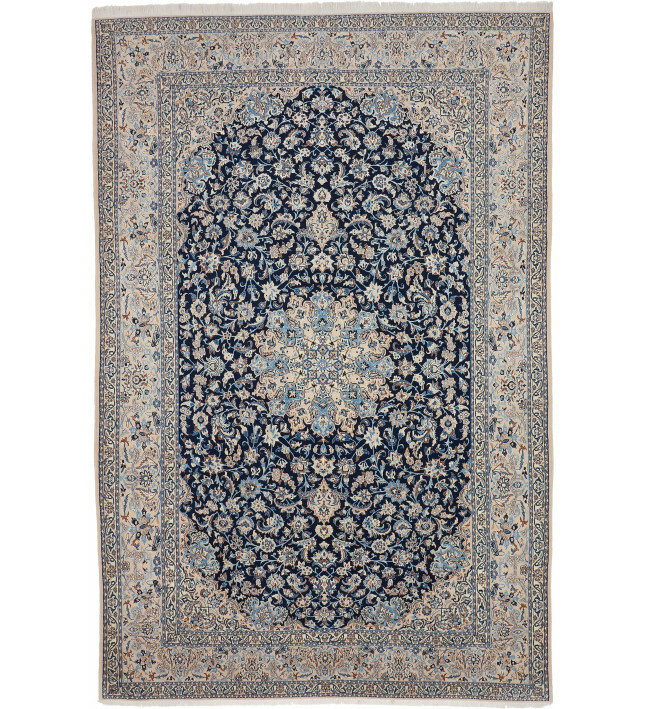 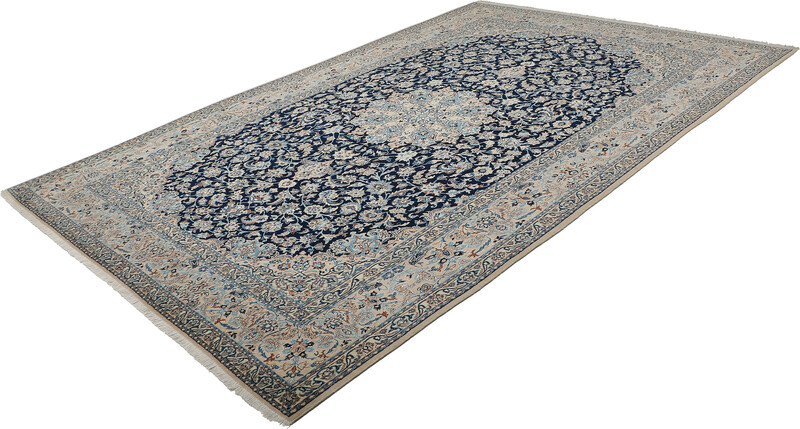 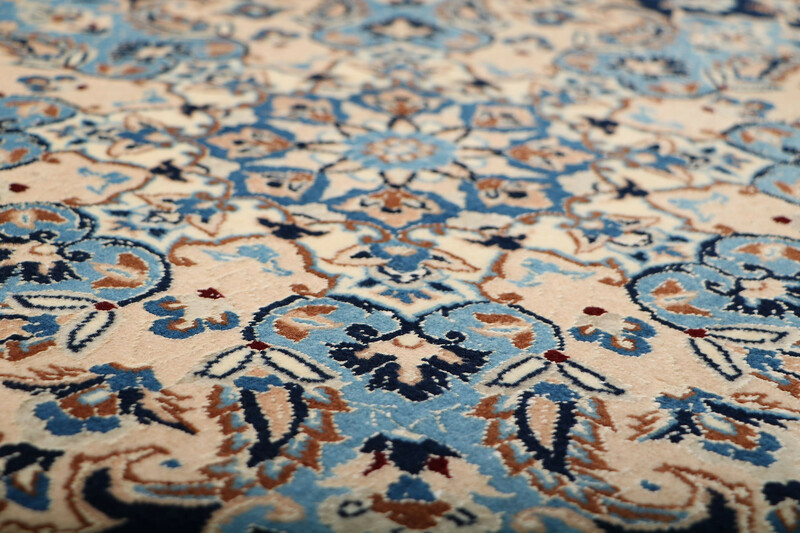 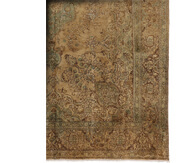 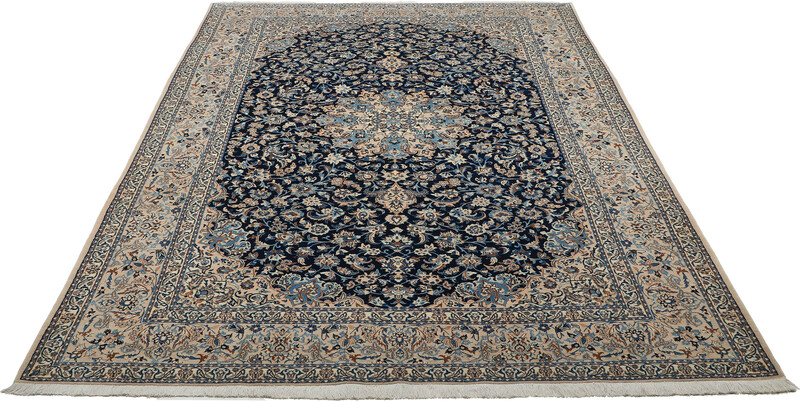 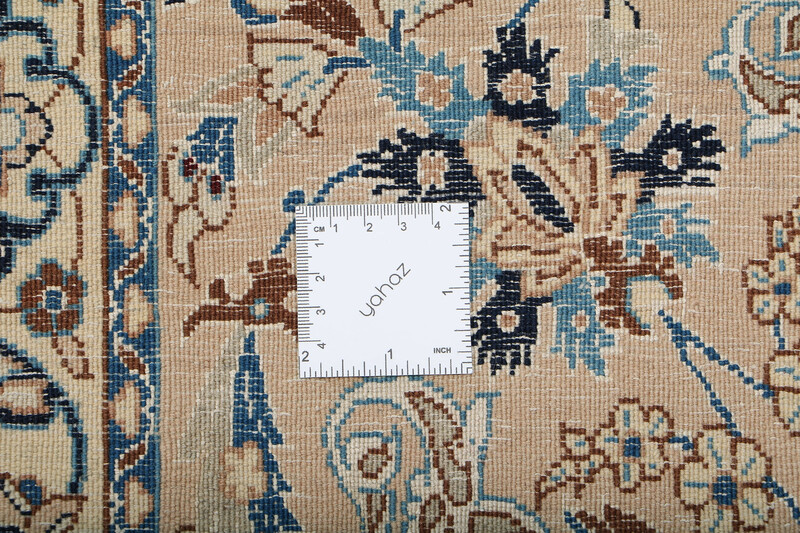 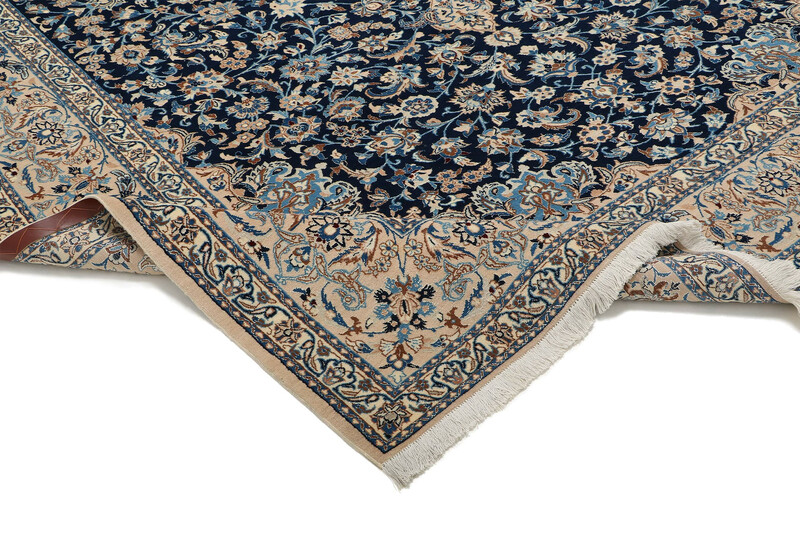 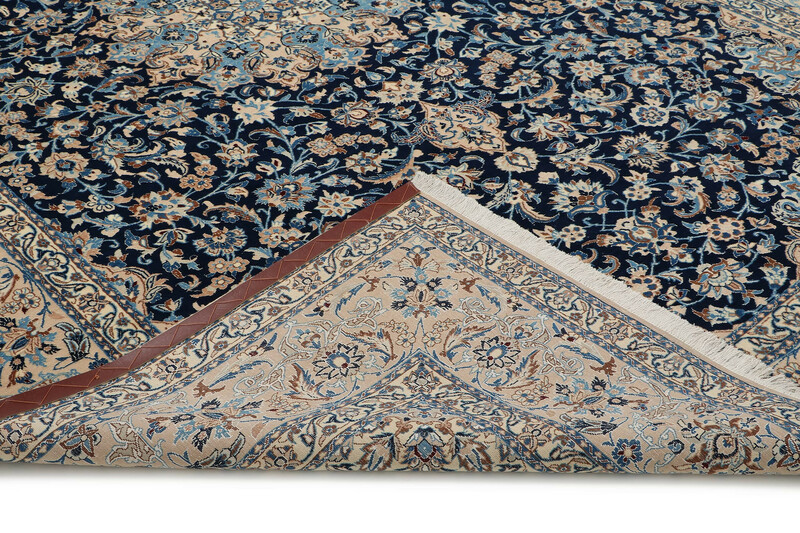 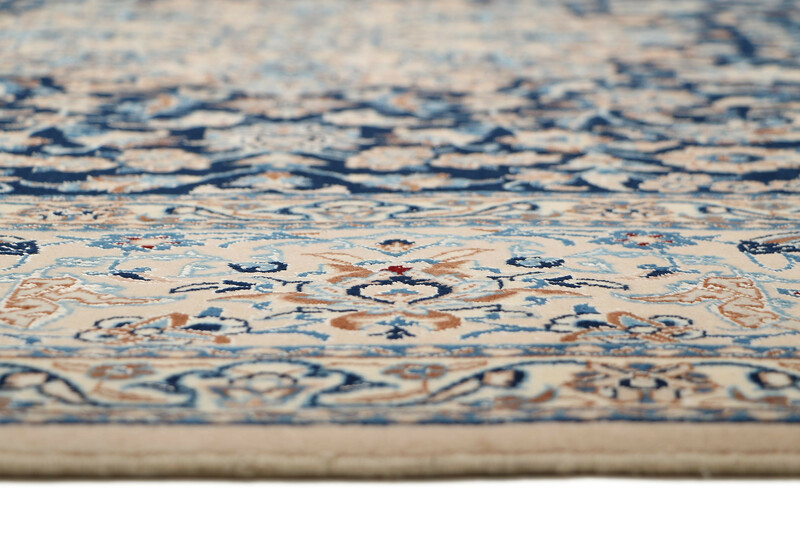 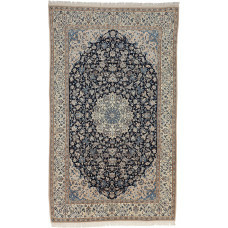 Ornate central medallions with precisely rendered all-over floral designs typify Nain rugs. 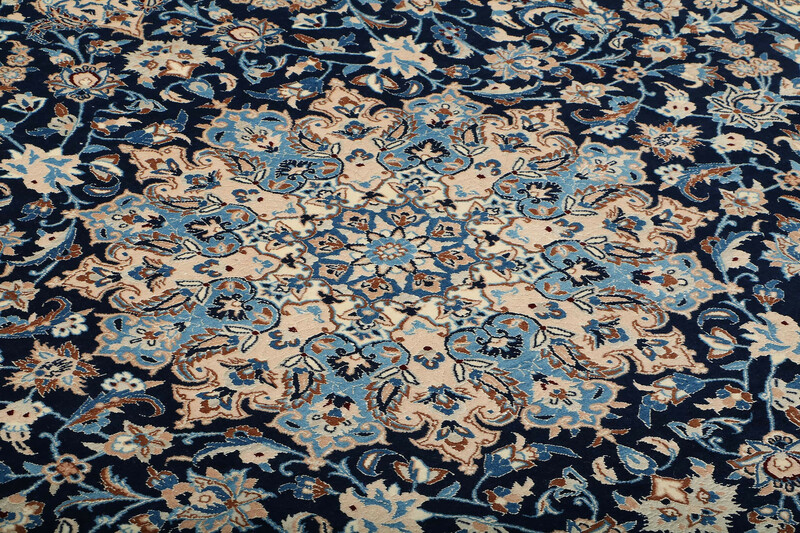 Dyes are made from natural materials from the area, and the colors are unique. 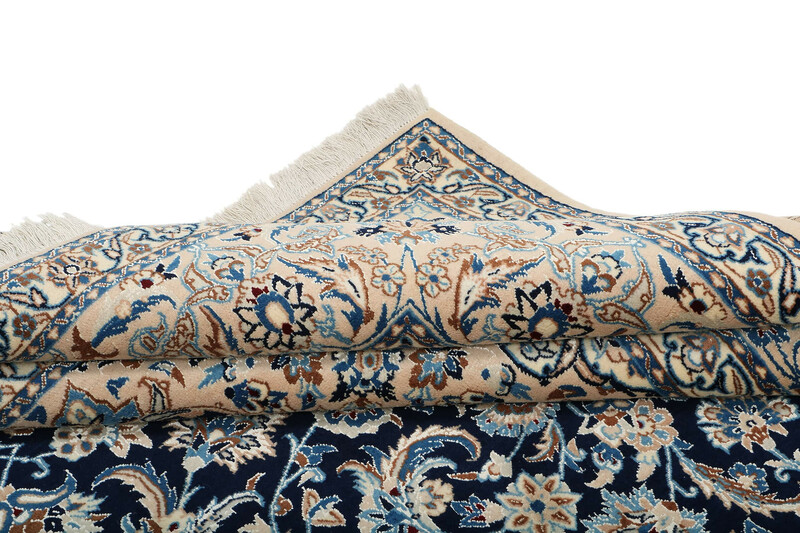 Most Nains have a high knot count, a cotton foundation and very soft wool or silk pile.